Virgin Mobile is getting set to offer its first phone from Alcatel Mobile in the Venture, but will not use Alcatel Mobile’s branding to market the phone, instead Virgin Mobile will sell it under its own brand when it launches this Thursday for $99.99. The Venture is a low-end Android smartphone, with a full QWERTY keyboard and a 2.8-inch touch display, a 600MHz processor, Bluetooth 3.0, a 2.0 megapixel camera with LED flash, microSD support up to 32GB, Wi-Fi, GPS, and speakerphone. It also runs Android 2.3 Gingerbread. 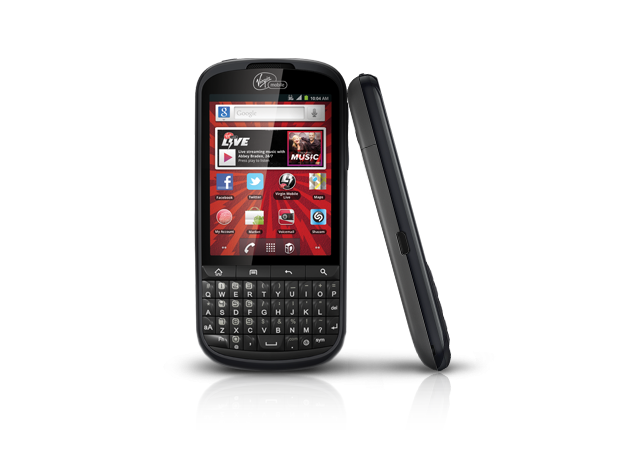 This also marks the first time that Virgin Mobile has relied on PCD for phone purchases directly, as the former Virgin Mobile postpaid division, which was the former MVNO Helio also relied on PCD for its phone lineup in terms of distribution and support before the division was shuttered in 2010 and the postpaid service subsequently decommissioned after the initial purchase of Helio and its associated infrastructure in 2009. Alcatel Mobile/One Touch has attempted to forge a presence for itself for years in the US after experiencing success in Europe and Latin America, but has not had the success that it initially expected due to local MVNOs relying less on dedicated product distributors such as PCD and relying more heavily on back-end device purchase orders from carriers or third-party sales from online dealers.